“Doctor Who” returns to BBC America on Saturday, April 23, but for the first time in the exceedingly long history of the franchise, the emphasis will be on the “America.” Not only does a portion of the season take place in the US of A, but, indeed, some of it was actually filmed here in the States. Bullz-Eye had a chance to chat with Arthur Darvill – he plays Rory, in case you didn’t know – about the new season, but since the thought of accidentally revealing anything of importance about the goings-on in the new season clearly petrified him, the majority of our conversation actually ended up being about last season. Still, he was willing to offer up a few teasing comments here and there, as you’ll see. Bullz-Eye: Well, I’m a big “Doctor Who” fan, so I followed your exploits all last season, and I’m sure you’re as excited as I am for these new episodes to hit the air, since you worked on them awhile back now. 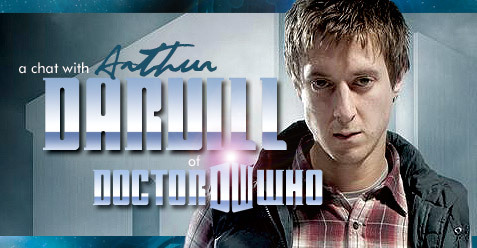 Arthur Darvill: Oh, yeah, absolutely. Yeah, we’re really excited about it coming out. The scale of it has gone up, and it’s bigger and better and more exciting. Yeah, I just can’t wait for people to see it, really. Plus, of course, you’re in the States, which really ups the ante. Now, obviously, we’re excited about you guys having filmed here, but do you have a sense for how folks back home feel about you making your American debut? I mean, it’s quite cool, I think, because “Doctor Who” is such a British institution, and it will always be quintessentially English, but to do an episode in America…? You know, we have so many… (Hesitates) All my old favorite films are American movies, and I think our cultures are very much linked, so to have an episode in America, yeah, I think everyone’s really excited about it. Leave it to Steven Moffat to take the annual “Doctor Who” Christmas special tradition and finally get it right. Given how adept the man is at penning this series at this point, this should probably come as no surprise, and yet, for me at least, it did. I’d learned over the years to set my expectations very low for these holiday outings due to Russell T. Davies’ mind-numbingly action-oriented yearly offerings. I do love Davies, but his Christmas stories always ranked pretty low for me, or rather I cut him and his holiday specials an immense amount of slack, as in interviews he was always going on about how most of the audience is drunk anyway, and are basically looking for mindless fare on Christmas night. So that was his approach and it worked well as far as the U.K. viewing figures were concerned it seems. To be fair, they got better as they went along, with only the bloated disaster yarn, “Voyage of the Damned,” bucking that trend, although last year’s episode was barely even a Christmas tale, being the first half of “The End of Time” and all. More than anything else, though, what was most disappointing about Davies’ Christmas outings is how none of them ever became holiday traditions for me as a “Doctor Who” fan, which is pretty amazing since there were four to choose from. Indeed, the best Christmas tale the series had unveiled prior to this past Saturday night was Season One’s “The Unquiet Dead,” penned by Mark Gatiss, which of course wasn’t even a holiday special. As you’ll no doubt remember, “The Unquiet Dead” detailed the Doctor (Christopher Eccleston) and Rose (Billie Piper) meeting Charles Dickens (Simon Callow) right before Christmas in 1869 Cardiff, and here we are, well over five years later, returning to Dickens once again, and once again we discover that Dickens and “Doctor Who” make for a potent combination. At its start, “A Christmas Carol” alarmingly resembles a Davies-era holiday adventure, with a giant spaceship plummeting through the atmosphere towards the ground below. Honestly, I was scared at this point – not over the potential fate of Amy (Karen Gillan) and Rory (Arthur Darvill), but that I was being set up for “Voyage of the Damned II.” But the story quickly shifts gears into far more character driven territory, as we move onto the surface below and meet the cantankerous Kazran Sardick, played by the great Michael Gambon. Most people equate Gambon with Dumbledore these days, and with good reason, because it’s the role he’s been seen in more than any other. Myself? I first became acquainted with the man 20 years ago via Peter Greenaway’s “The Cook, the Thief, His Wife & Her Lover,” in which he played the thoroughly despicable Albert Spica alongside Helen Mirren. His performance in that film is so perfect, playing such an awful man, that to this day it’s the role I still associate him with the most, and it was cool to see him return to that shouting, obnoxious type of character. It’s interesting to note the decision to give neither Gambon nor the other high profile guest star, Katherine Jenkins, billing in the opening credits, while Gillan and Darvill – neither of whom have an enormous amount of screen time during the hour – are credited at the top. And so we come to yet another season finale of the greatest science fiction series ever created. This is the recap I’ve been both anticipating and dreading writing in equal parts since first seeing “The Big Bang” some weeks ago; anticipating because of how much I adored this finale, and dreading because there’s no way I can do it justice in a mere recap. It’s not even an issue of space or time (or is it? ), it’s a matter of the story, as well as the 12 episodes prior to it, being too dense to dissect thoroughly. You’ll have to forgive that this doesn’t resemble a recap proper, and I instead ramble on about other issues. From the very first scene, “The Pandorica Opens” is an ominous piece of work. France, 1890. Vincent van Gogh (Tony Curran) writhes in mental torment, presumably in the last days of his life. It appears that he actually did paint another piece, and it’s somehow tied to the Doctor. After the Doctor and Amy left Vincent at the close of “Vincent and the Doctor,” the Time Lord asserted that “we definitely added to his pile of good things.” Maybe they did, but it appears they added to his pile of bad things, as well. The implication even seems to be that by introducing Vincent to his universe, the Doctor may have played an inadvertent role in the artist’s suicide. Dark stuff indeed. But what is the painting? Bam! All of a sudden we jump to London in 1941 and we’re with Winston Churchill (Ian McNeice) and Professor Bracewell (Bill Paterson), who now have the van Gogh painting. Bracewell insists that it’s Churchill’s job to deliver the art. Bam! A containment facility in 5145. River Song (Alex Kingston) is on the receiving end a phone call from Churchill meant for the Doctor. Swiftly she makes an escape thanks to the hallucinogenic lipstick. Bam! The Royal Collection, still in 5145. Presumably we’re back onboard the Starship U.K. and the van Gogh painting waits for River, having been added to the collection by Churchill 3200 years prior. Liz Ten (Sophie Okonedo) makes a reappearance. Bam! Still in 5145, River blackmails an alien dealer into giving her a vortex manipulator. Through this series of efficient sequences, it’s as if Steven Moffat is asking, “Have I got your attention now?” He most certainly does. In the TARDIS, Amy (Karen Gillan) ponders the wedding ring, while the Doctor (Matt Smith) hatches a plan to take her to the oldest planet in the universe to see the oldest piece of writing, which is chiseled onto a cliff face. 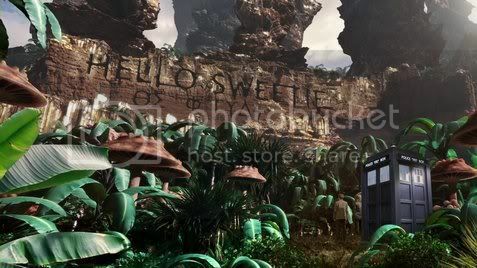 The TARDIS doors open and the translators show the words as “Hello Sweetie.” Bam! Britain, 102 AD. The TARDIS arrives in front of a Roman army, and Amy mentions that Roman soldiers were her favorite topic in school. A soldier, whose face is smeared with lipstick, mistakes the Doctor for Caesar and takes the pair to see Cleopatra, whom River is impersonating. 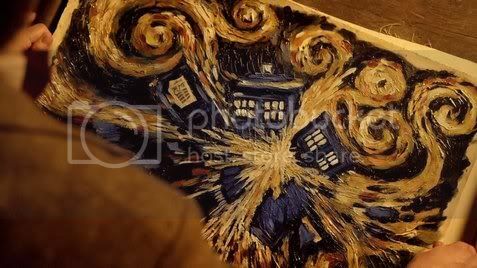 Finally we get to see the painting, which shares its name with this episode, and it’s a vision of the exploding TARDIS, painted exactly as we’d imagine van Gogh would paint such a vision. 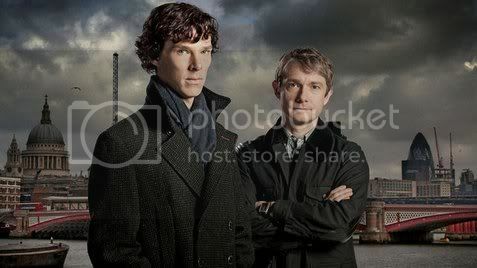 (Surely poster prints of this will be available for fans to hang on their walls any day now? I know I’d buy one.) Finally, seven minutes into the episode, we get the opening credits. And thus begins what’s easily the most ambitious setup for a season finale the new series has yet done. “The Pandorica Opens” is positively cinematic in scope, direction, editing and, of course, writing. These setup installments were never this good in the Davies era, and it’s almost a shame it isn’t the season finale proper, as it would be an unbearable, months-long wait to see the resolution to everything this episode does. It would be the “Doctor Who” equivalent of Part One of “The Best of Both Worlds,” which ended the third season of “Star Trek: The Next Generation.” In fact it’s somewhat strange that “Doctor Who” – a show infamous for its end of episode cliffhangers – has yet to end a season on any kind of serious hang (stuff like regenerations or Donna suddenly appearing in the TARDIS doesn’t really count). The feeling I got watching “The Pandorica Opens” is the exact same feeling I got while watching the last 20 minutes of “Utopia” from Season Three – only this thing kept up that level of intensity for nearly a whole hour. The episode shifts into an almost “Indiana Jones” type of piece for a while, as the trio of time travelers make their way to a secret area beneath Stonehenge, to find the massive Pandorica prison, which is somehow tied to the exploding TARDIS. 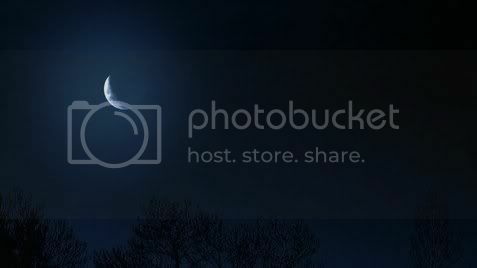 Whatever’s housed in it is the most feared thing in the entire universe. As with the Romans, Amy mentions that the story of Pandora’s Box was a favorite of hers as a child. This catches the Doctor’s attention, but there’s too much going on for him to focus on it. The box finally begins opening – from the inside, no less, but it’s a process that could take hours, as there are many locks and mechanisms to work through, and so the tension continues to ratchet upwards.